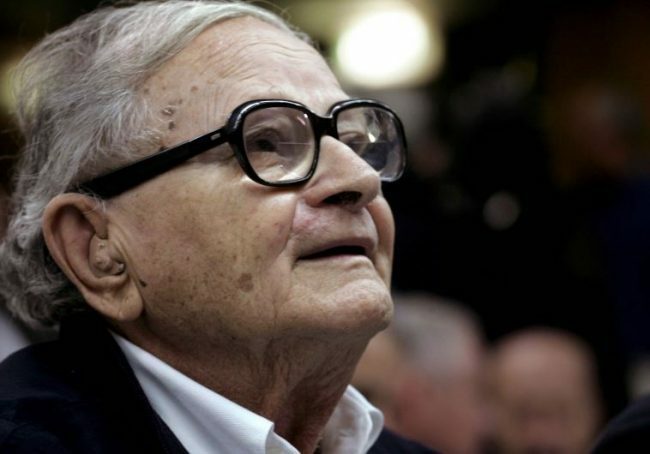 Former Israeli intelligence officer and politician Rafi Eitan has died at the age of 92. The legendary Mossad spy is best known for leading his team in a mission to capture Holocaust architect, Nazi SS Lieutenant Colonel, Otto Adolf Eichmann. In a daring 1960 secret operation that brought Eitan from Israel to Argentina, Rafi, his seven-man team, along with Shin Bet agents were able to successfully kidnap Eichmann and bring him back to Israel to stand trial on 15 criminal counts including crimes against humanity, war crimes and crimes against the Jewish people. Public reports say that while in the process of capturing Eichmann, Mossad had an opportunity to also kidnap Josef Mengele. However, Eitan ordered his team to ignore any chance to capture Mengele, pointing out that they needed to pay close attention to the task at hand so that they would not jeopardize the Eichmann mission. The capture and subsequent trial of Eichmann has been one of the chapters in Israel’s history. Rafi was among the heroes of the intelligence services of the State of Israel on countless missions on behalf of the security of Israel… His wisdom, wit and commitment to the people of Israel and our state were without peer. Mossad Director Yossi Cohen says that to this day most of Eitan’s missions are unknown to the public record. Once Eitan ended his spy career with the Mossad, he nevertheless continued to work on Israel’s behalf to obtain vital intelligence concerning other nation’s nuclear weapons program. Eitan was also known for being associated with Pentagon spy Jonathan Pollard, the U.S. intelligence analyst charged and convicted for providing Israel with highly secret classified information.